Breville’s Chef’s Commercial HG20 grill has a high 290°C maximum temperature which effectively sears your food, locking in the moisture, keeping it tender and succulent. 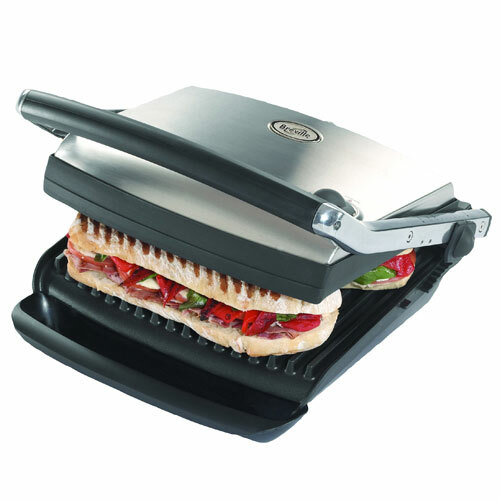 Its 2200W power means the Breville grill heats up quickly; there are variable temperature settings for cooking all manner of food – from steaks to sandwiches. It has a large cooking area and a hinged lid so you can adjust the height. In a stylish stainless steel finish with heavy duty arms and a neat clip-on drip tray.